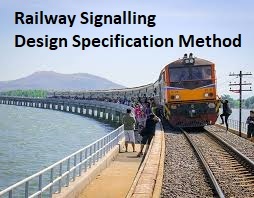 * A draft specification should be prepared in which all of the topics contained within the following guidelines are considered for inclusion if their application is appropriate to the signalling scheme. * To enable the specification to be recognised within a standard format there may be benefit in providing all headings in every specification and endorsing ‘N/A’ those which are not applicable. In this way omissions due to errors of judgement at the draft stage are less likely to occur. * The draft specification should be ratified by holding a review meeting, chaired by the responsible design engineer, with attendance by representatives from each discipline, function or sub-contractor involved. Each representative should be able to discuss any item relating to the party which they represent. The meeting should be held at the earliest opportunity, and the specification should be based on an approved scheme plan. After the draft specification has been updated to agree with the proceedings of the meeting, it should be signed by the responsible design engineer, and accepted by Network Rail. 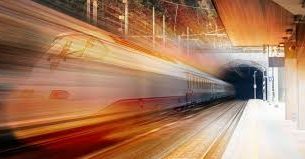 The content of the design specification should enable the client’s requirements, in terms of train operations and dependability (see NR/L2/SIG/11201, Module A20), to be met. A brief description of the agreed scheme should be provided, as defined by the client remit, OPS and the scheme plan and the extent of works. Where existing signalling is being altered, the existing arrangements should be described with a statement of what it is proposed to retain. New, retained and abolished signal boxes or other control points should be stated. Reference should be made to the standards to which the works are to be designed, as listed on the scheme plan or certificate of compliance. A bar chart should be provided, showing proposed dates for the key milestones appropriate to each alteration or stage (defined in the stagework programme). This should feature most of the activities like dates closure lists are to be issued and final records handed back. This may include risk assessment, together with any mitigation or control measures arising, or functional safety analysis. Any decisions based on risk Assessment should be stated. Reference should be made to any risk assessment reports or safety cases. Special risks that might arise during the execution of the works shall be stated in health and safety. Any safety cases or product acceptance required for new systems or equipment should be stated. Consideration should also be given to the spares availability with regard to providing a design which can be supported throughout the life of the installation. The strategic spares to be provided with the project should be those required on standby during commissioning. Long lead times for equipment delivery should be highlighted. Any relevant information should be extracted from the design specification of the existing installation. * Competence Management System for work on control and communication system. * The interfaces with the construction, testing, telecommunication, procurement and manufacturing functions should be defined; also with the permanent way, electrification infrastructure, power supply and property disciplines; as well as with train and signalling operations. * Information and drawings required to be passed between parties, e.g. scheme plans, bonding plans, S&C plans, power supply schematics, level crossing ground plans and stagework details (see NR/L2/SIG/11201, Module A2), with agreed dates, should be identified and the interdisciplinary checks required should be defined. * The extent of correlation required should be stated, together with any responsibilities for subsequent updating and remedial action. See NR/L2/SIG/11201, Module A7. * The scope of records to be correlated, in terms of geographical area, functional elements and level of detail, should first be reviewed with the tester in charge, where appointed. It should, as a minimum, include all signalling equipment likely to be affected by the proposed alterations. * It should be confirmed that the condition of wiring will not impede correlation, or otherwise give alternative measures proposed. * Any factors identified in an Assessment of the proposed works, in accordance with NR/L2/SIG/11201, Module A3, should be listed, together with a statement of the condition of the existing infrastructure. * It should be stated that redundant assets are to be recovered in full, unless the condition of the existing infrastructure and the temporary nature of the work make other arrangements desirable. * A stagework programme should clearly identify all staged commissionings proposed. * Any harsh or unusual operating environments and hazardous working environments should be stated. The policy for the protection of the environment should be referenced. * The client’s train operating requirements should be stated. 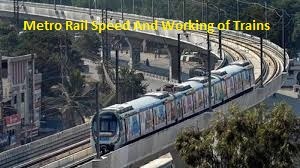 * Other design parameters and assumptions made, such as permissible speeds, headway, type of electric traction, etc for the assumptions used in scheme plan development. * The client’s dependability performance should be specified. * All design shall be produced in accordance with NR/L2/SIG/11201, Signalling Design Handbook and company procedures and standards. Records associated with any affected works will be fully updated. * Records will be redrawn (on CAD) where this is more economical than amending existing records or where specifically required by the contract. * Two drawing method shall be used for the production of design details and one drawing method shall be used for index sheets, Bonding plan, Panel and Location area plan. * Where an existing location is not indexed, temporary index sheets will be created for testing/closure list purposes from which a final record index will be produced. * Any requirement for overlapping or parallel design should be stated, with the necessary control measures. * Any special control measures should be stated or relaxations granted for the special cases, such as whether all previously designed works have been commissioned, and, if not, the means of controlling any discrepancies arising. * The design check recording methodology to be used should be stated, as described in NR/L2/SIG/11201, Module A21, including the extent to which checking copies are to be used. * The means of applying configuration control, particularly to software systems, should be stated, as described in NR/L2/SIG/11201, Module A10. 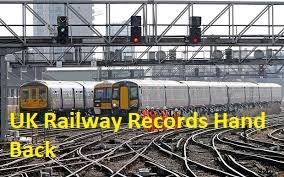 * Responsibilities for collating documentation to be submitted for Network Rail project approval and statutory approval should be stated. * System interfaces or compatibility that present particular hazards should be defined and control measures proposed. * Scheme fringes and method of interfacing with existing signalling systems should be particularly considered. * Sufficient information is required to enable the control tables and engineering details to be compiled from the scheme plan. * However, any special engineering requirements should be specified, particularly any decisions made regarding types of systems or equipment, or the provision of special facilities or drawings. Each applicable sub-system should be considered in turn. * The method of controlling and authorising changes to the project, including changes to the client’s requirements, scheme plan and design specification, etc. should be stated. * A log of significant changes or variations to the scheme shall be appended to the design specification. “Significant” change should be defined here.